Home > Ask Our Experts > Is My Partner Able to Sell My Half of Property? My ex partner is bankrupt. How can I stop him from making me sell my half of the property for his equity? I have children. I’m afraid your situation is not an easy one. The first thing to find out is whether you are legally classed as joint tenants or tenants in common. If you are classed as joint tenants you will both have equal rights to the property and the property will be divided equally between you both. If you are classed as tenants in common it means that you each own a specific share of the property, not necessarily an equal share. You should contact your mortgage lender and check which one of these applies to you. The bad news is that if you are joint tenants, he does not have the right to sell your property but the official receiver will be able to. 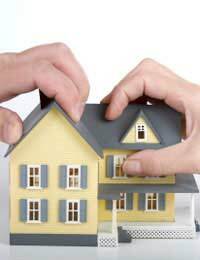 If you have a joint tenancy the receivers will claim your partner's share of the property. In order for them to get this share you may have to put the property up for sale. The good news is that you can buy your partner's share back from the receivers and they will be happy to allow you to do this. They are not interested in your house, they just want the money from your partner's share. You should speak to your mortgage lender and enquire about extending your mortgage, or even finding another friend to buy him out. If you do not have the income to extend your mortgage I’m afraid you will have no option but to sell the property and then take your share, but you should seek legal advice and speak to your mortgage lender as they may be able to help. If you are tenants in common then it could be that you own more of a share in the property than your partner, so you will be entitled to a larger share when the property is sold. You will normally be given 12 months by the receivers to sell the property, so hopefully this should give you some time to maybe raise your partner’s share of the property or find somewhere else for you and your children to live. The only silver lining is that you will still get your share of the property at the end of the nightmare. There are a lot more options courts will consider before you reach bankruptcy, but if a bankruptcy order has been taken out then this will override everything else and the receiver will have to get your partner’s share of the Property, I’m sorry to say. I have been out of Bankruptcy for 14 months now and have just got a bank account with the coop after applying to three others and being turned away.The receivers want £10,000 for my half of the property which is valued at £135,000 and my wife has applied for a mortgage but no one will touch her even though I was the one who went bankrupt.Because she was on the joint mortgage HSBC said that even though she was not involved she has been BRANDED with the same iron as me.We have 2 small children and have tried to get either a loan or re mortgage but no one will touch either of us.Now we are being told to sell the house.Rented will cost much more and money is still very tight now. My wife is in tears everyday and I am now in a bad place.We can’t find a way through it and there is very little to no help available.I can honestly say that in the 20 years we have been in our house that the payments we HAVE made to loan companies and mortgage company’s far out weigh in profits to the banks than debt that has been written off from the bankruptcy.We are drawing down to the last weeks now and its just hell.